Cleveland Cavaliers Collin Sexton’s rookie season has seen both positive and negative moments in what’s been a disastrous season for the team. 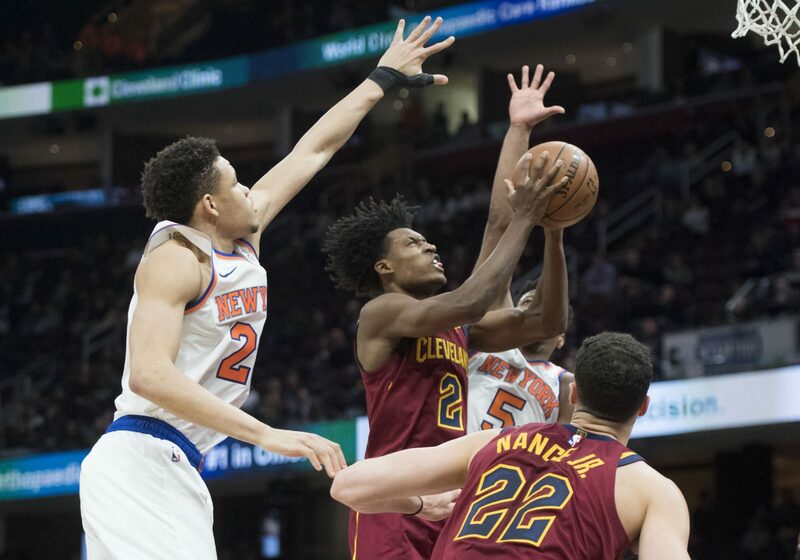 One positive for him in Monday night’s 107-104 win over the New York Knicks came in the form of what teammate Larry Nance Jr. jokingly considered to be a milestone: the first “real” dunk of Sexton’s NBA career. Kevin Love also commented on Sexton’s first “real” dunk after the game. Sexton led the Cavs in scoring on the night, tossing in 20 points and also handing out three assists. However, his shooting from the field is still a work in progress after a 7-for-21 effort. Nance also provided some major contributions in the victory, contributing a double-double with 15 points and 16 rebounds. He also dished out four assists, one of them coming on the Sexton dunk. The Cavaliers have one more game remaining before the All-Star break, hosting the Brooklyn Nets at Quicken Loans Arena on Wednesday night.